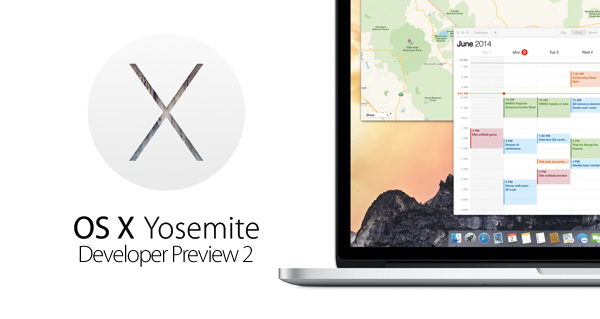 Apple has just rolled out an update to the Developer Preview of OS X Yosemite 10.10. The latest build of the forthcoming Mac software, which is slated for release later on in the fall, has been treated to an extensive list of bug fixes and general performance tweaks, details of which you may find after the break. OS X Yosemite is a big update in terms of features and design. We knew, in the run-up to the keynote at the Worldwide Developers Conference (WWDC) back in early June, that Apple would be addressing the overall aesthetic of the interface to drag the UI elements into line with those of iOS 7. But we weren’t expecting the flurry of performance improvements and new features that Apple also brought to the table, and as such, OS X Yosemite 10.10 is not currently as fluid and usable as the end user builds. This Developer Preview 2, as it is called, is a necessary housekeeping update that Apple recommends all Yosemite users go ahead and download. As we previously mentioned, OS X 10.10 is still very much an unpolished gem, hence why it’s currently only available to developers, and unless you’re a legitimate developer with a spare Mac lying around, you’re strongly advised to stick with your current rig – be it OS X Mavericks or otherwise – for the time being. Upon picking up OS X Yosemite 10.10 Developer Preview 2, the general experience should feel more refined, and although we’re expecting the end user release of Yosemite to land in the fall rather than follow the likes of Mountain Lion by dropping in the summer, there’s evidently still plenty of work to be done before the new and improved Mac software can be deemed ready for prime time. Apart from the bug fixes and performance enhancements, the most notable change in this update is the addition of Photo Booth, which has been given a flat makeover. No surprises here. This is the second Developer Preview, which can be snapped up by registered developers via the Mac App Store. 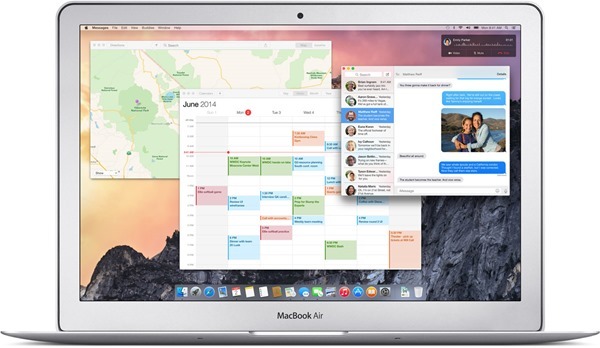 The first beta of OS X Yosemite is expected to arrive in the very near future, and won’t require such privileged, paid access to the Dev Center thanks to Apple’s just-introduced OS X Beta Seed Program.